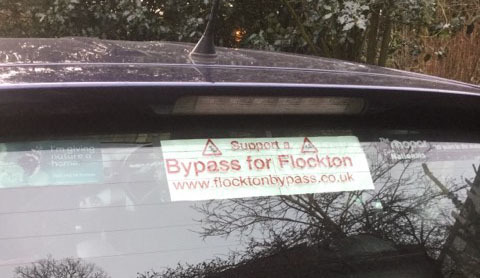 Please continue to support our Flockton Bypass campaign by giving out leaflets or buying banners and car stickers. 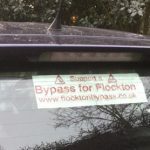 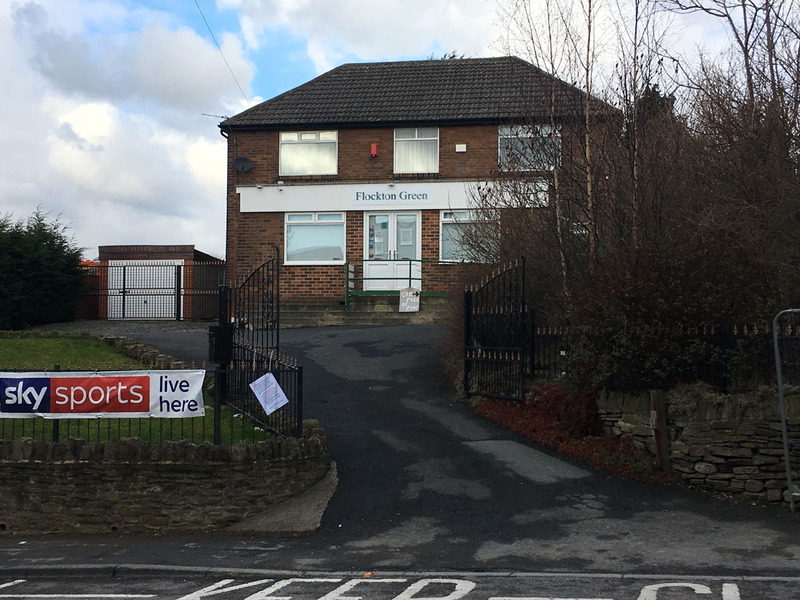 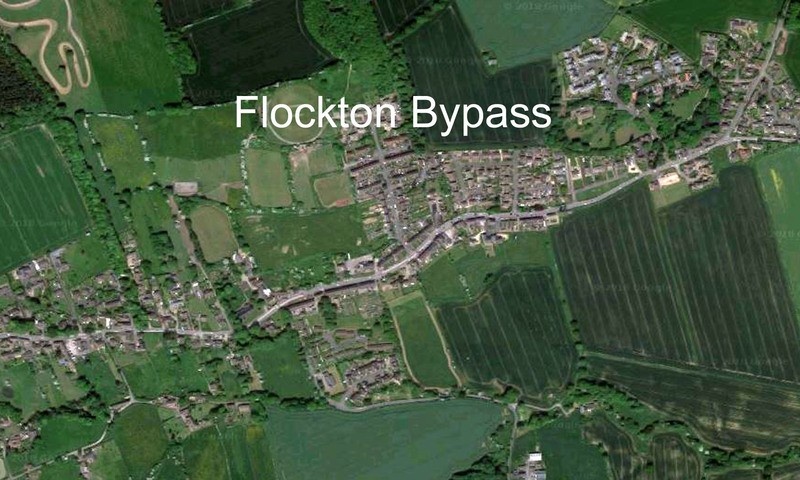 You can download a leaflet here, or also get leaflets from the Flockton Club*, that are being distributed to local businesses, explaining the bypass campaign. 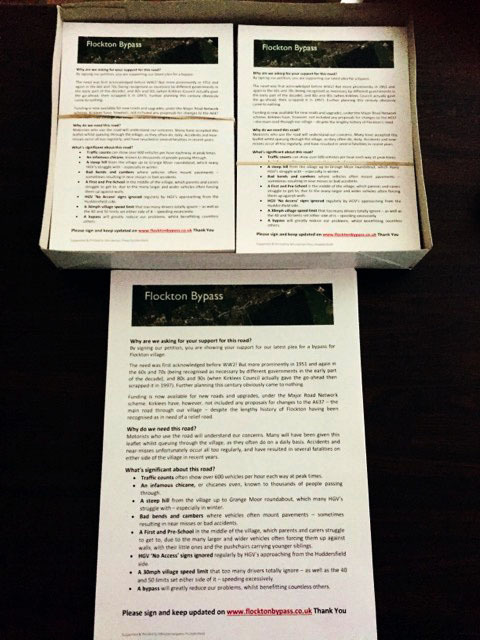 Also displayed, is the agenda for the meeting the steering group had (on Monday 26 February 2018) so people can see what we are discussing at the meetings. 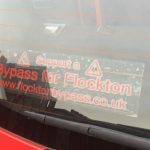 Orders for car stickers, at £2 each, can be placed at the bar. 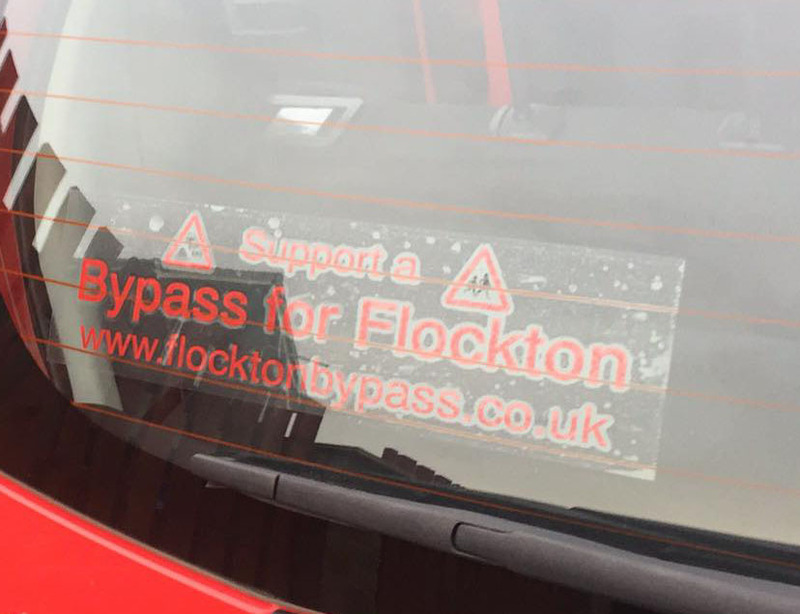 Please show your support by buying one (or two!). 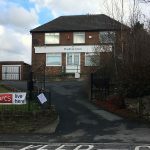 Your £2 includes a 25p donation to charities supported by the Yorkshire Beardsmen. 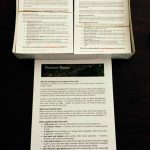 Previous PostPrevious 3,500 Signatures – Thank You!